Steven Spielberg's WWII masterpiece Schindler's List has been remastered in 4K in honor of the movie's upcoming 25th anniversary. Universal Pictures will be re-releasing this remastered version in select theaters in the U.S. and Canada for a limited, one-night-only engagement on December 7. The newly restored version of the movie will also be released in international markets throughout 2019. Universal has just released a new trailer to showcase the upcoming 4K restoration of Schindler's List, which looks absolutely stunning. The trailer highlights not only the cinematic achievement that Schindler's List is, but also the cultural importance that it still holds today. The word timeless is thrown around quite often in regards to certain works of cinema, and it's used in this trailer, but it feels more than warranted. Steven Spielberg will go down as one of the greatest filmmakers in history and this is arguably his crowning achievement. Not that the movie looked anything but fantastic before, but seeing it on the big screen in 4K could be an incredible experience. Here's what Spielberg had to say about the restoration and re-release. 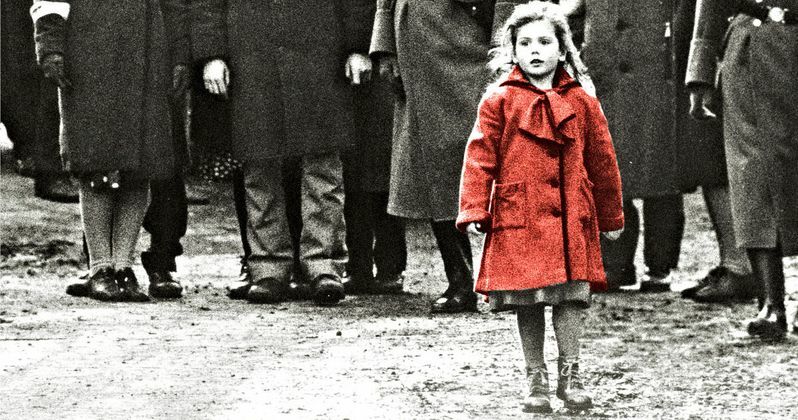 "It is difficult to believe that it's been 25 years since Schindler's List first arrived in theaters. The true stories of the magnitude and tragedy of the Holocaust are ones that must never be forgotten, and the film's lessons about the critical importance of countering hatred continue to reverberate today. I am honored that audiences will be able to experience the journey once again on the big screen." Schindler's List was shot back-to-back by Steven Spielberg with Jurassic Park, marking a truly tumultuous time for him, given the scope of both projects and the fact that they couldn't be more different. Though, it would be hard to argue against the results in both cases. Schindler's List went on to earn seven Academy Awards, including one for Best Picture. It was also a tremendous box office success, earning $321 million worldwide. In advance of the re-release, free educational screenings of the movie, coordinated by USC Shoah Foundation, will be available for high-school educators and their students in selected AMC, Regal, Cinemark, Marcus Theatres, Cineplex, Harkins and National Amusements locations in major markets in North America on Tuesday, December 4, and Wednesday, December 5. Additionally, USC Shoah Foundation, under its Stronger Than Hate initiative, will work with partner organizations to provide classroom-ready resources through its award-winning educational website IWitness to accompany the theatrical and home video re-release. Related: Watch the DVD trailer for SCHINDLER'S LIST! In addition to the re-release of the movie itself, Universal has some other surprises planned. John Williams' Oscar-winning score is set to be re-released by La-La Land Records, which will include never-before-heard material. The remastered version of Schindler's List will also be available in 4K on home-entertainment platforms following the theatrical rollout. No specific home video release date has been announced just yet. Be sure to check out the new trailer for the 4K restoration for yourself below. This news comes to us from Universal Pictures.